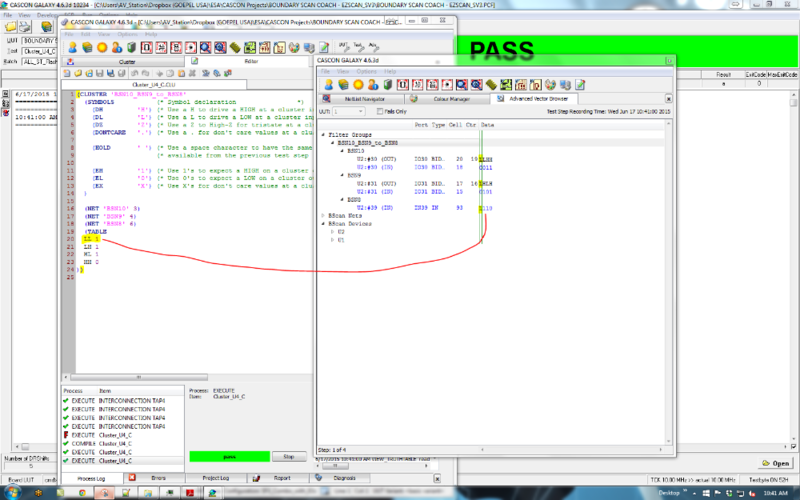 CASCON users who don't have Pin Fault Diagnostic licenses or who want to see the actual test vectors applied with a particular test program may find the Advanced Vector Browser a valuable and useful too. I.e. if I drive Pin A high (as I’m going through the UpdateDR state), then the resulting high on Pin B will be captured in the next CaptureDR state. Depending on the “mode” in CASCON (“Fast Mode” = enter PauseDR state between vectors, as opposed to “Normal Mode” = enter RunTest/Idle state between vectors) the shifting happens between capture of the result for the previous vector and update of the new vector (Normal Mode), or after Update and Capture for the same vector (Fast Mode). However, for the display in the Advanced Vector Browser this does not matter. 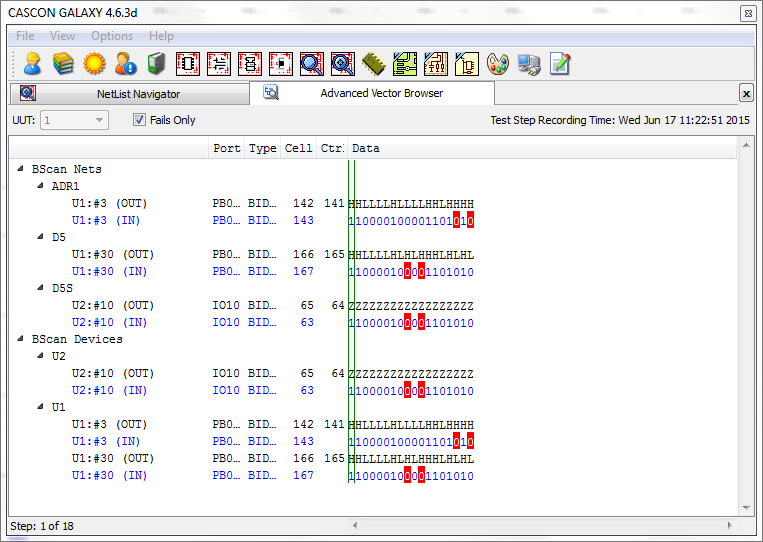 In that vector view the drive and measure values associated with the same test vector are lined up in the same column.